Toms River Eye Associates, P.C. 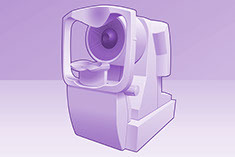 utilizes the latest Optos technology to discover and diagnose various ocular pathologies. 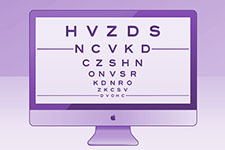 CLARIFYE℠ is LensCrafters’ innovative digital eye-care technology that offers the most comprehensive eye health and vision assessment available. With CLARIFYE℠ we are able to map the unique “fingerprint” of your eye with digital precision, to pinpoint the prescription you need to see your best. 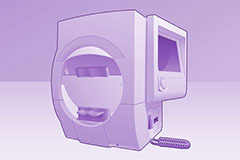 A digital vision-assessment system that combines topography, wavefront, autorefraction, keratometry, and pupillography in one instrument. This instrument helps improve accuracy when determining your glasses or contact lens prescription. Creates a digital image that captures more than 80% of your retina in one panoramic image. Helps detect early signs of retinal disease including age-related macular degeneration, glaucoma and diabetic retinopathy. Checks how much protective pigment is in the macula. A low amount of macular pigment increases the risk of age-related macular degeneration. Nutritional supplements can reduce this risk by restoring depleted levels of meso-zeaxanthin, zeaxanthin and lutein in your macula. Fine tunes your eyeglass prescription along with other tests. The doctor places an digital instrument called a phoropter (rotating lenses) in front of your eyes, which allows you to look through a series of lenses to determine which is clearest. The refraction determines your level of hyperopia (farsightedness), myopia (nearsightedness), astigmatism and presbyopia.